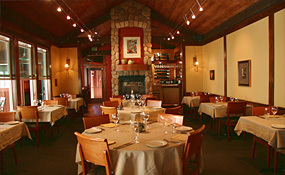 Applewood: An Enclave for Romance at the Heart of the Russian River Valley. 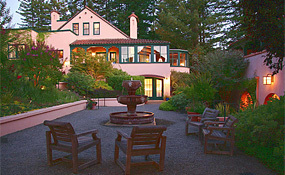 This Boutique Wine Country Inn, with its 19 rooms and suites, a fine food restaurant, and a spa, is located one hour north of the Golden Gate Bridge in the heart of the Russian River Valley Pinot Noir growing region. 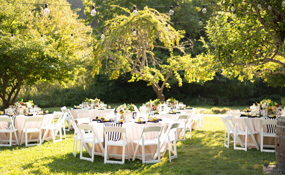 Applewood is a sanctuary for tranquility and intimacy as well as a portal to world-class wineries, the mystical Russian River, the rugged and dramatic Northern California coastline, and the millenarian Armstrong Redwood Forest. 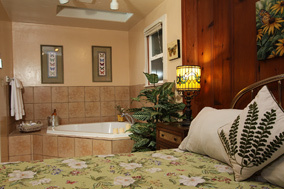 14 casitas around a saline, solar-heated pool and hot tub. 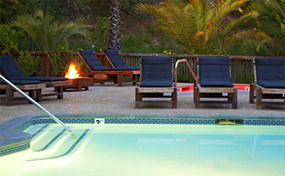 Cabana-chic poolside furnishings, mature tropical landscape, towering redwoods. 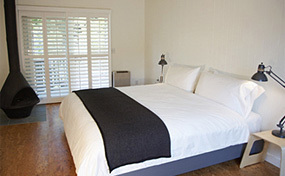 Crisp, minimalist-modern décor, organic linens, natural bath + body products. 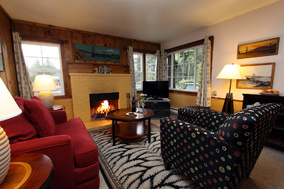 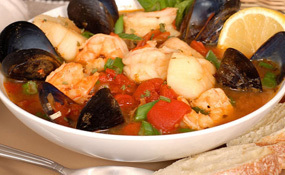 Spa services, bicycles, organic French press coffee service, fireplaces, TV/DVDs, private backyards. 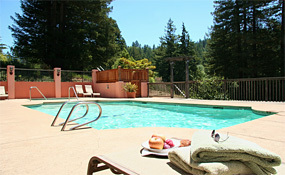 Built in 1905, Dawn Guest Ranch is a fifteen acre property nestled among towering redwoods on the banks of the Russian River. 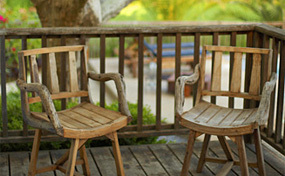 53 rustic cabins and cottages blend harmoniously into the stunning landscape of ancient apple orchards, bamboo groves, grassy meadows and a kitchen garden. 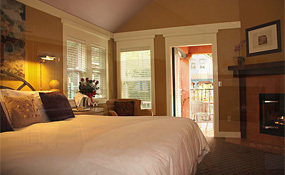 Parking, WiFi and Continental Breakfast included. 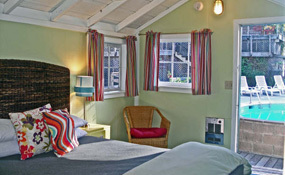 Fern Grove Cottages were built in the 1920's for vacationing guests visiting the Russian River area from nearby San Francisco. 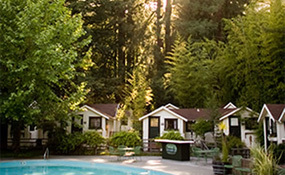 The tradition continues, as Fern Grove Cottages remains the Russian River's best getaway. 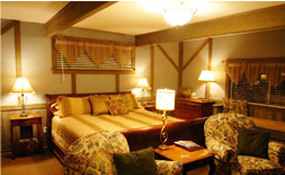 The cottages have been lovingly restored and most still retain their original knotty pine ambiance and warm yesteryear memories. 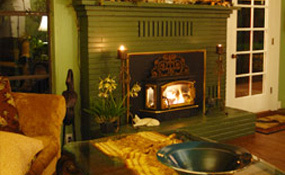 Everyone is welcome at Fern Grove including well-behaved pets and children, with prior notice. 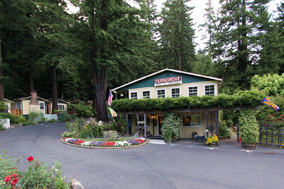 Fern Grove is located just three blocks from the village of Guerneville with its quaint shops and selection of restaurants.You may also enjoy an easy walk to the nearby swimming beach on the Russian River. 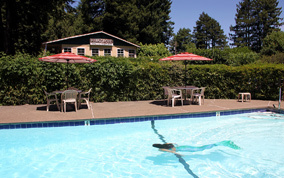 And of course our guests are invited to enjoy Fern Grove's heated saline water swimming pool.Within three miles of the cottages are canoe trips on the Russian River, hiking in the impressive Armstrong Woods State Reserve and winery tours. 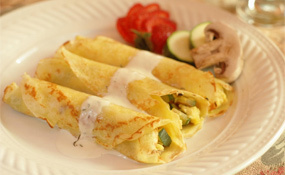 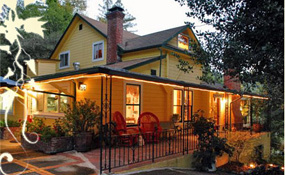 Known first and foremost for our breakfasts and wonderful atmosphere, the Sonoma Orchid Inn Bed and Breakfast offers grounds to relax, beds so comfortable you don't want to leave them and orchids to delight the eyes and nose - truly and Wine Country Bed and Breakfast not to be missed.